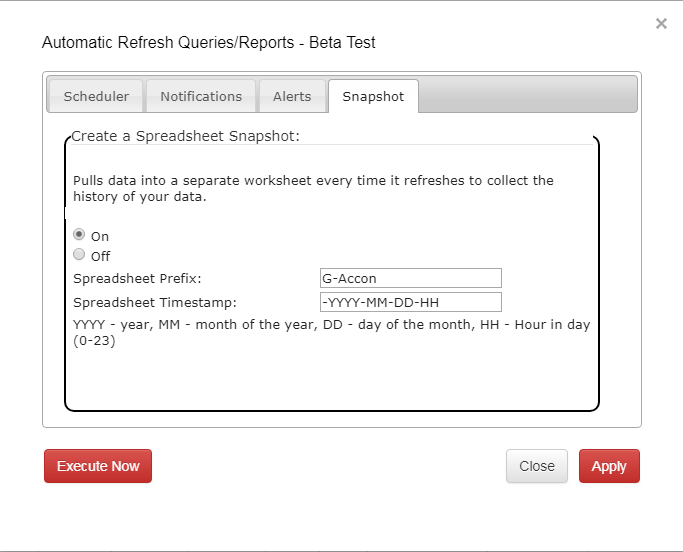 Refresh your reports & dashboards automatically using a flexible schedule. 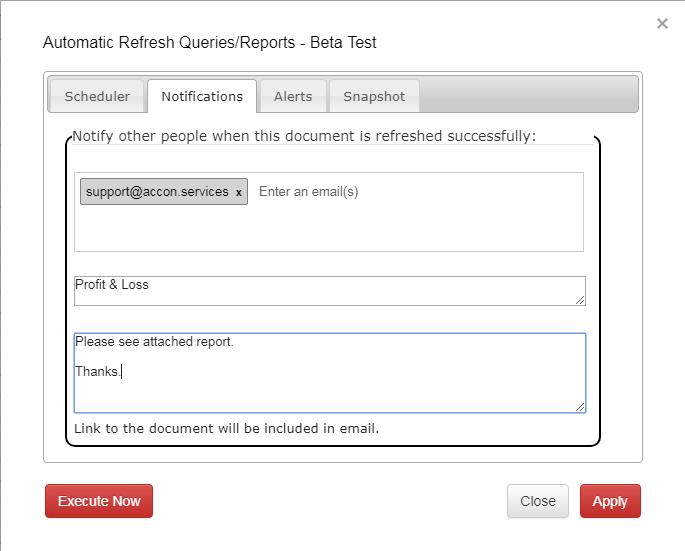 Send real-time reports to your clients automatically. Data Monitoring & Alerts, create alerts and receive notifications if certain criteria is met. Backup Your Reports, save reports snapshots to Google Drive to keep historical data. 5. 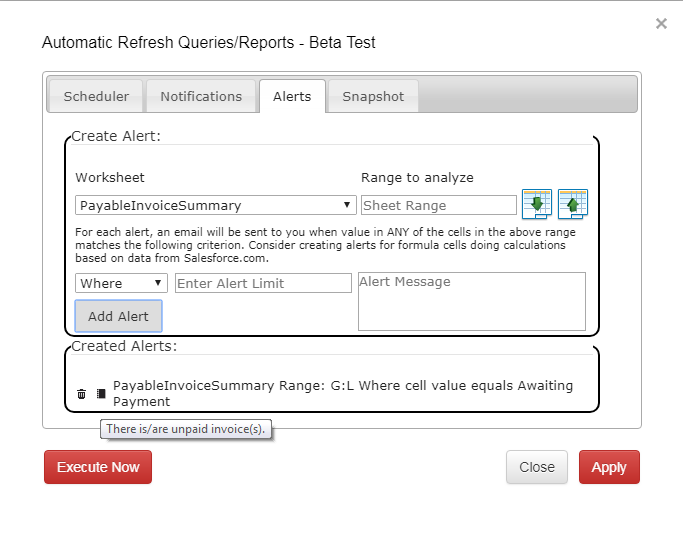 “Refresh Current For All Organizations” – Beta Test – Refreshes all reports and queries in the current active sheet. Refresh works for multiple organizations. 6. “Refresh All For All Organizations”- Beta Test – Goes through all sheets in the current Google Spreadsheet and refreshes all reports and queries. 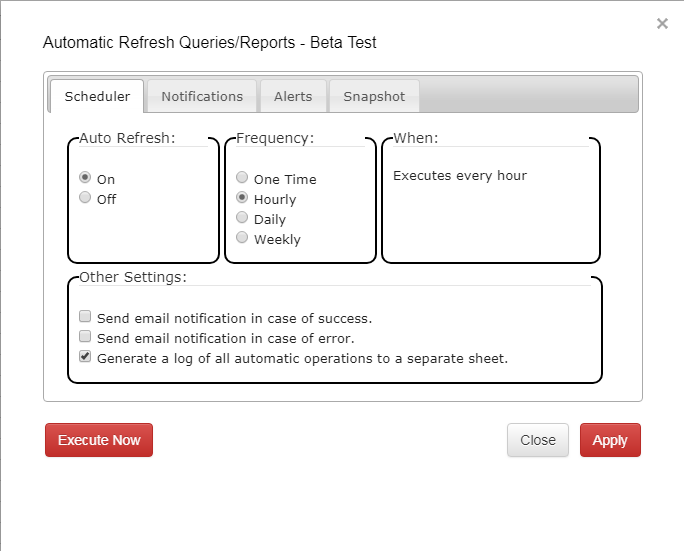 Refresh works for multiple organizations.